After eight years of Obama’s destruction – Republican turnout is breaking records across the country this year. 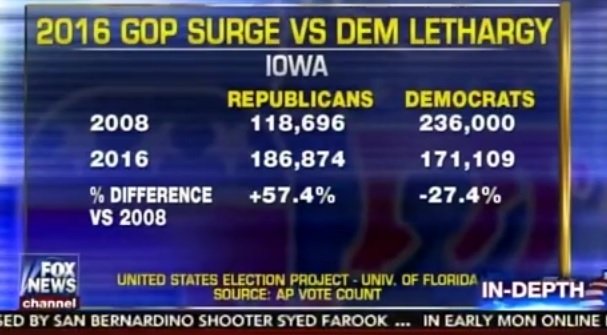 In Iowa GOP turnout was up 57% and Democrat turnout was down 27% . 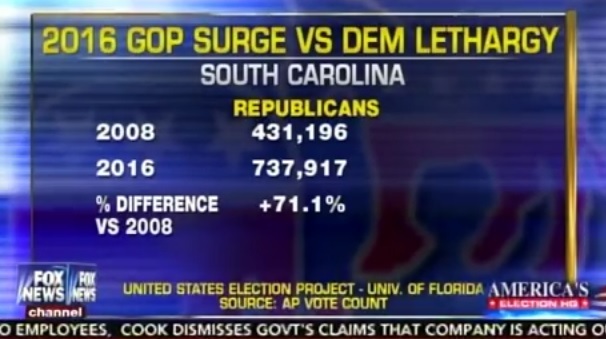 GOP Turnout in South Carolina was up 71% on Saturday compared to 8 years ago. Republican officials confirmed today that 37,000 have pre-registered for Tuesday’s caucuses. That’s more than the total turnout in 2012. Overall turnout could be as high as 75,000! Overall turnout could now be as high as 75K, one GOP insider believes. That's the good news. Bad news: Even longer to count?